The look of spring is everywhere around Lake Tenkiller and in Tahlequah, Oklahoma. Buds are blooming, the dogwood trees are blossoming, the weather is getting warmer and it’s Red Fern Festival time in Tahlequah. 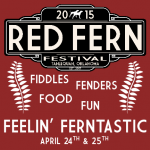 Scheduled for the weekend of April 24-25, 2015 the Red Fern Festival celebrates the novel “Where the Red Fern Grows” written by Wilson Rawls, a native of the Tahlequah area. The two-day event provides plenty of family fun and lots of good food. The celebration includes a Barbecue and Chilli cook off, old fashion children’s games, live music, hound dog field trails, art/craft sale, antique car show and many more activities. Check out additional details at www.RedFernFestival.com. Terrapin Peak Bed, Breakfast & Beyond is about 17 miles south of the Tahlequah celebration. If you’re looking for a great spot to relax after enjoying your time at the festival Terrapin Peak is the place. Go to our website, www.terrapinpeakbbb.com to view the guest rooms and check current availability. Take advantage of our online booking or give us a call to finalize your plans in the area. Other activities planned in Tahlequah during the month of April are numerous. Northeastern State University (NSU) holds several Jazz Labs featuring Ben Harris and others; the Cherokee Heritage Center is sponsoring a Pottery class and Gospel Sing. The Annual Trail of Tears Art Show and Sale kicks off on April 18th. During the “Third Thursday”, a downtown Tahlequah event, businesses stay open later, art exhibits are plentiful, local music fills the air and a variety of other performances. What a terrific way to kick off an early weekend. Details regarding these events and more can be found at www.tourtahlequah.com or www.downtowntahlequah.com. For water lover’s springtime is the time of year the Illinois River and Lake Tenkiller operators put the final touches on their business to ensure readiness for the summer season. 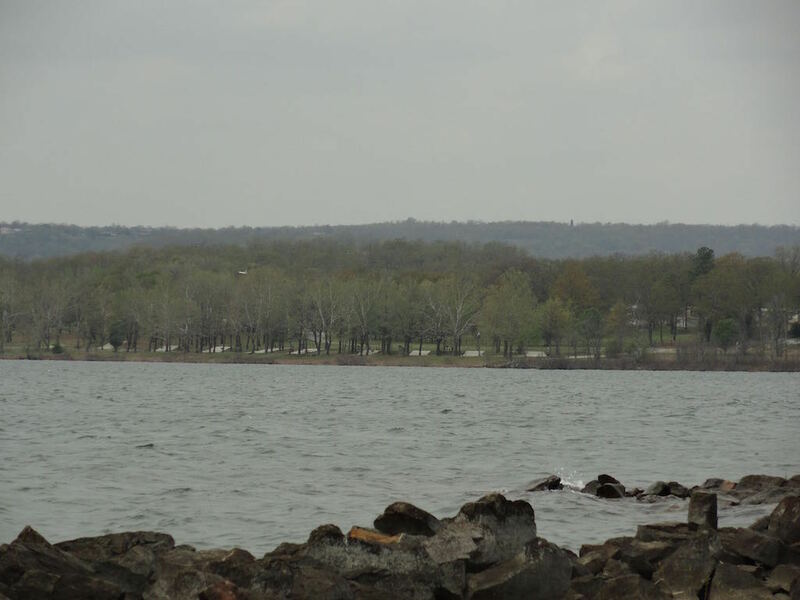 At Lake Tenkiller with more than 13,000 acres of water there’s plenty of opportunities for boating, jet skiing, fishing, scuba diving, water skiing, sailing or just relaxing on the water. Check out the www.laketenkiller.com website for additional details. The Illinois River Outfitters kick their season off in early May. Floating the river in canoes, kayaks or rafts offers lots of fun enjoyed by hundreds of thousands of people each year. 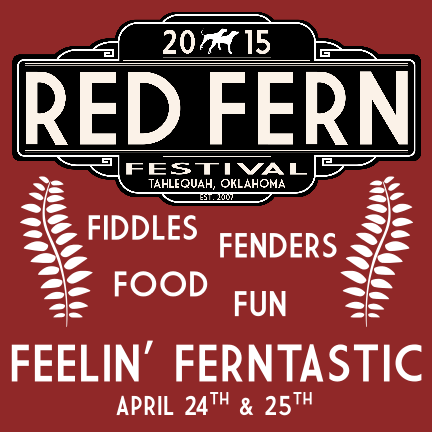 Spring has sprung and April is filled with lots of activity in the Tahlequah area ending with the annual Red Fern Festival. Hope to see you there. Next month, get ready for the official kick off of the summer season, Memorial Day weekend, May 22-25, 2015. Don’t delay making your reservations! Come on and get ready to hit the water 🙂 . Genny Maiden and Chef “What’s His Name”, Innkeepers at Terrapin Peak Bed, Breakfast & Beyond. This entry was posted in Lake Tenkiller Lodging, Oklahoma Things To Do, Spring and tagged Things to do April 2015 by Genny. Bookmark the permalink.